There are few actors more difficult to pull away from their roles than John Krasinski. Daniel Radcliffe comes to mind, he simply is Harry Potter, and John Krasinski will never not be Jim Halpert, no matter what he does or where he goes. But that doesn't stop them from moving on and it shouldn't stop us as audience members from doing the same, no matter how hard that can be. Radcliffe has turned into a fine actor, and Krasinski has the potential to be a great writer/director, if we can only allow his comedic roots to stay buried. 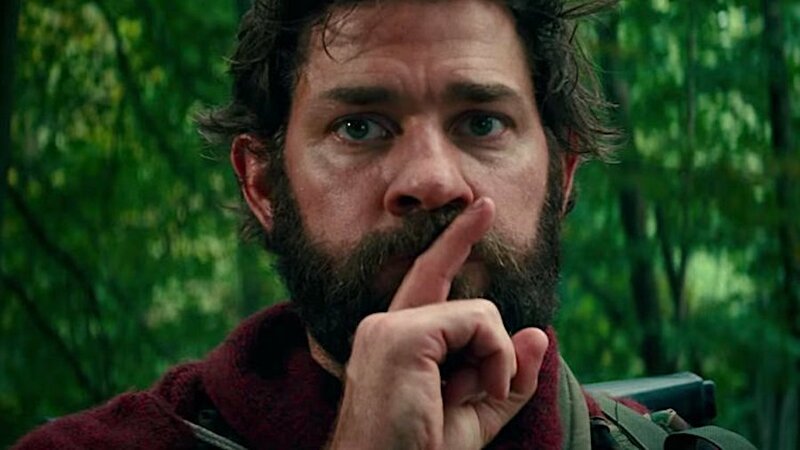 The first and only real feature he wrote was Promised Land, the first and only real feature he directed was The Hollars, neither did well, but he's back to try putting on both hats, and the result is much different this time; A Quiet Place is the horror hit of the year. In the near future, an unknown and unknowable species will take control of the planet, an animal that is nearly indestructible and hunts its prey by the smallest sound. Humans will live on the fringes in fear, making no noise and trying to stay alive. The Abbott family has a small farm complete with everything they need, they walk into town to forage once in a while, they catch fish for meat, but mostly they keep safe by keeping to their house and keeping silent. A terrible tragedy about a year ago haunts them still, but they try to continue with their lives, as the father creates a device to aid his deaf daughter's hearing and the mother prepares for the birth of her fourth child. But as pleasant as one day can seem, this isn't a utopia, and lives can be lost in the blink of an eye. Not only did Krasinski write and direct, he also starred in this film, and he was an executive producer as well. That's a lot of work and a lot of pressure, especially to heap on someone who doesn't have much meaningful experience past The Office. I don't mean to say that Krasinski is a talentless amateur, of course not, but he isn't Daniel Day-Lewis or Martin Scorcese; in this film he attempts to be them plus many others, to work many jobs at once. But he was never alone, and perhaps that's where he was smartest. He had co-writers, his wife Emily Blunt plays his character's wife, Michael Bay even helped out producing and you can feel that whenever a creature attacks. Krasinski follows Jordan Peele into battle, turning our expectations on their heads, creating a low-budget horror flick with a deep meaning that we won't quickly forget. We need to expand our idea of horror, because the genre is making a statement, with films every year that quietly squirm their way to the tops of so many lists, proving that scaring and impacting don't have to reside in separate movies. 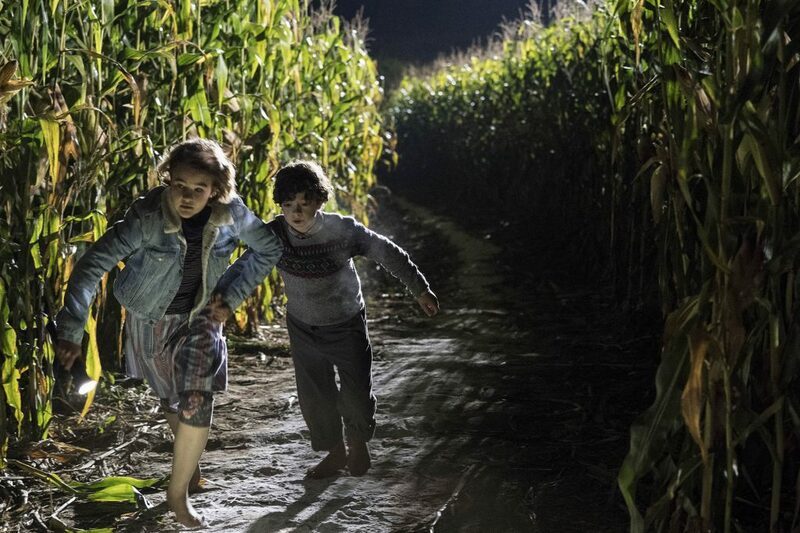 A Quiet Place is fairly frightening, the tiniest bit gruesome, but nothing like the monster movie model you might immediately imagine; it takes the fear to another level, to a place that's much more personal. Parents might even find it difficult to watch, the situation is so intense, so upsetting, so impossibly realistic in a metaphoric sense. The story is well written, Blunt is a strong mother figure, the kids are actually good, and the film is super short. The action takes place mostly in one place and over a small span of time, the characters barely speak, and we don't meet hardly anyone else; that such a simple script and plot could work so well might be more shocking than the fact that it was Krasinski of all people who pulled it off. This film will put you on edge and keep you there, which is just another reason it is definitely a must-see. Order "A Quiet Place" now!